When I use to think of a bath, the word relaxing came to mind. 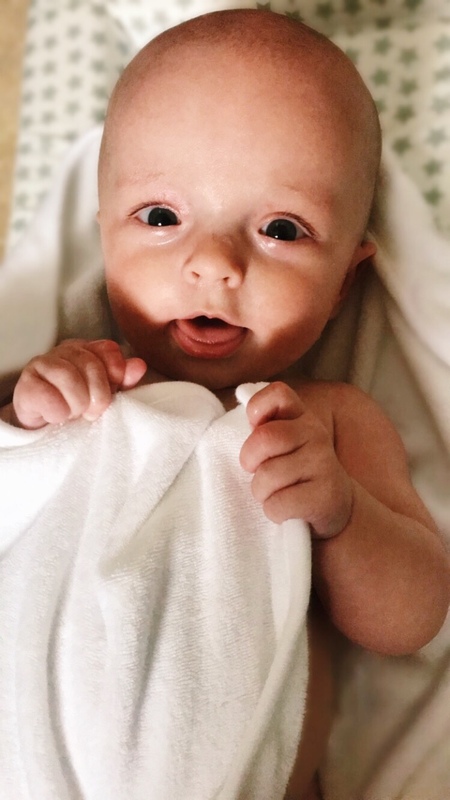 But as a first time mum, when I first bathed Mole she was a slippery fish and it was more nerve-wracking than relaxing. 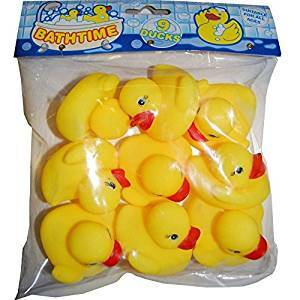 Now we are a few months down the line with plenty of bath times under our belt, I feel I have found the right items to have by my side at bath time. 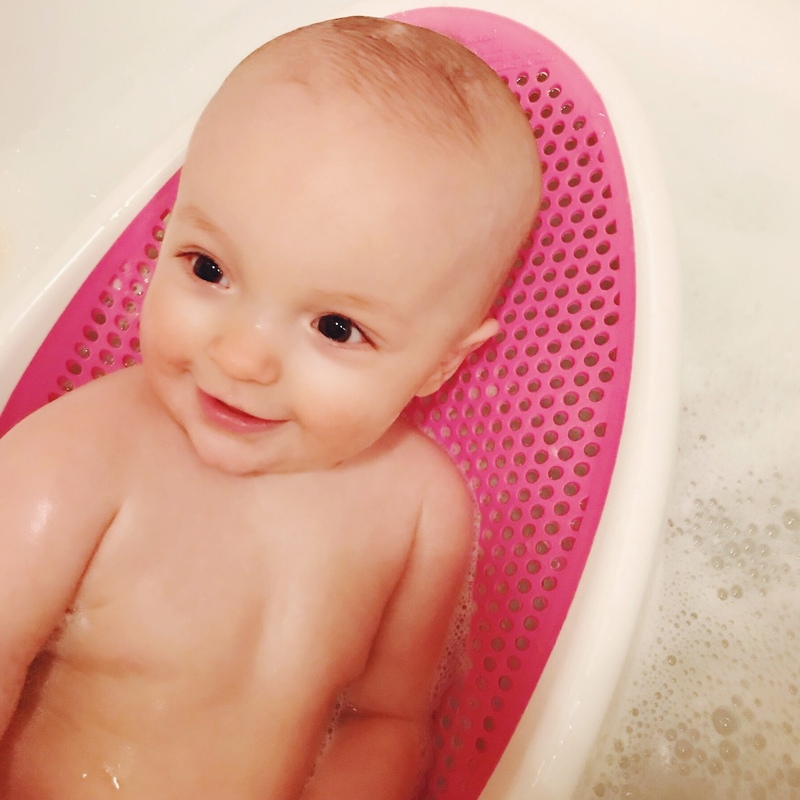 Bath time is a fun bonding routine and has definitely helped with establishing a strong bed time routine. 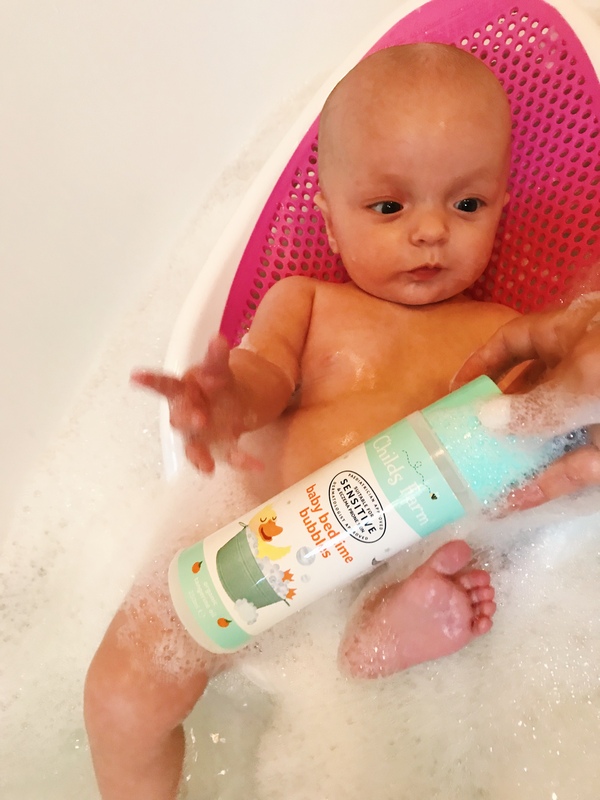 Here are my bath time baby essentials to keep your baby safe and comfy whilst you get your them squeaky clean. I love this one by Angelcare. 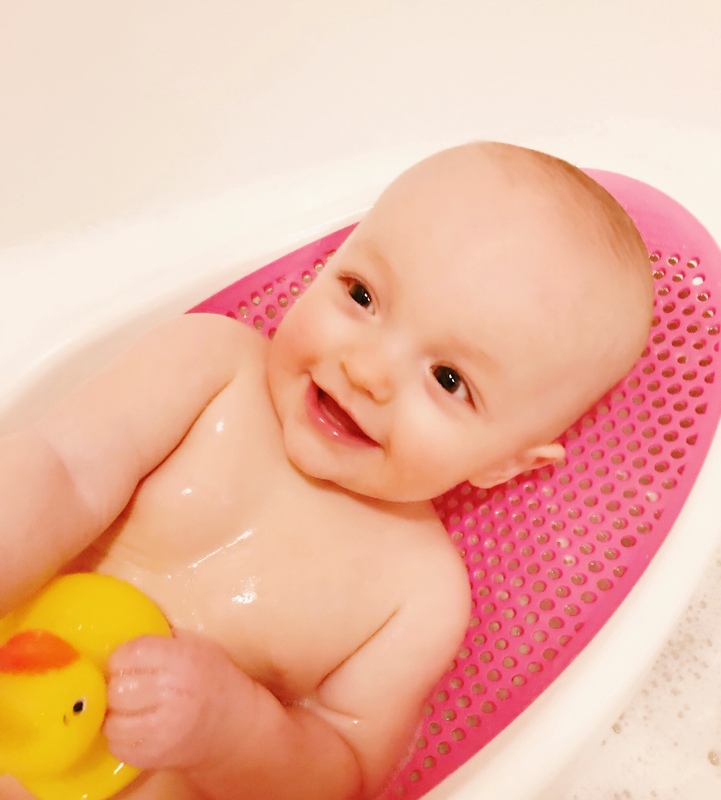 Mole has used this every bath time since she was a newborn baby. I feel so safe bathing her in this and she has the freedom to splash her legs and have fun. This sponge is super soft on her delicate skin. I also use the sponge to rinse off her shampoo too as I find using a rinsing cup always gets too much water down her face and shampoo into her eyes. I have tried lot’s of cheap hooded towels from B&M and Aldi but they do not stay soft after a wash. My favourite is this one from Marks and Spencer. Its sooooooo soft. If you have read one of my previous blog posts on Mole’s sensitive skin you will already know one of my favourite bath time products. 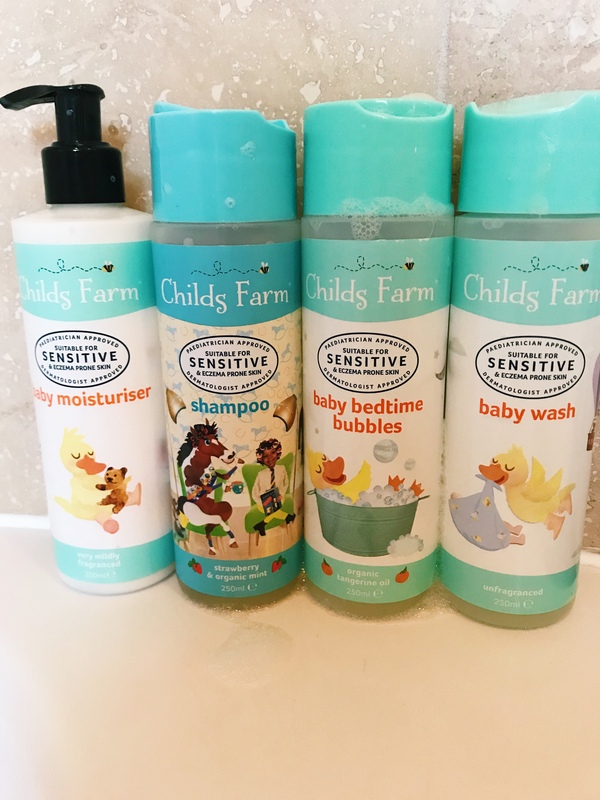 I love Childs Farm and for bubbles, wash and shampoo. 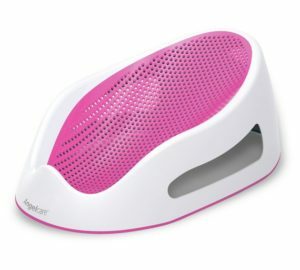 They are a brilliant all rounder and have done wonders to her sensitive skin. They have a range of different scents but the strawberry mint has to be our fave. Recently I was very hesitant to try Mole with another brand after knowing Childs Farm works so well. 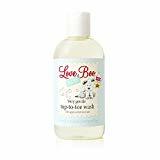 I picked up some products from Love Boo. OH MY WORD, they are gorgeous. Mole has used the bubble bath, body wash and massage oil and they smell incredible. Just like a baby scent. Her skin has not flared up once which is the biggest bonus. 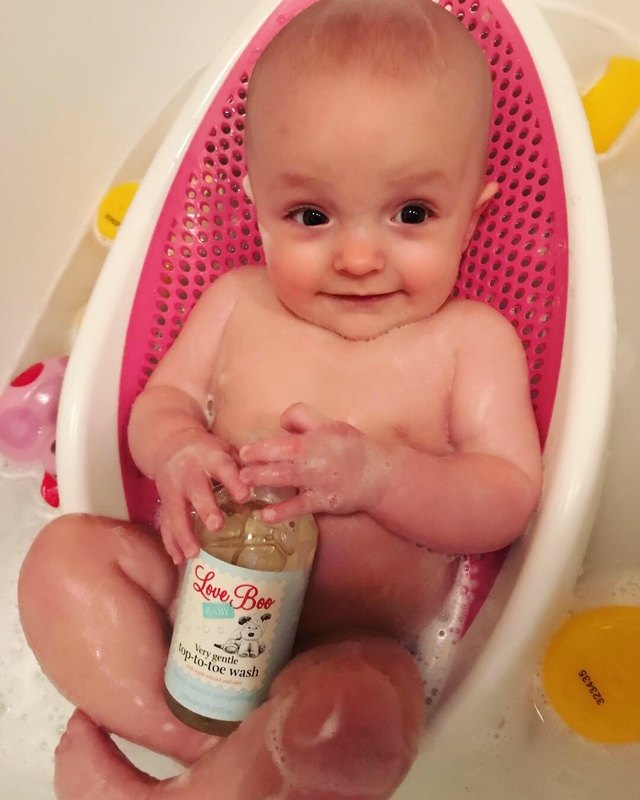 So if you fancy a bath time was for your baby that has a stronger scent that I definitely recommend Love Boo. This has been a life saver. Our hot tap always runs near to boiling. 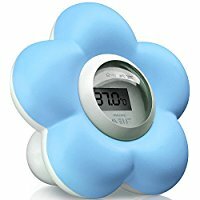 I feel at ease knowing I have the correct temperature for Mole’s bath by using the thermometer rather than doing an elbow or wrist check. The thermometer is digital and states what the temperate range needs to be if you ever forget. Mole loves to play with rubber ducks. 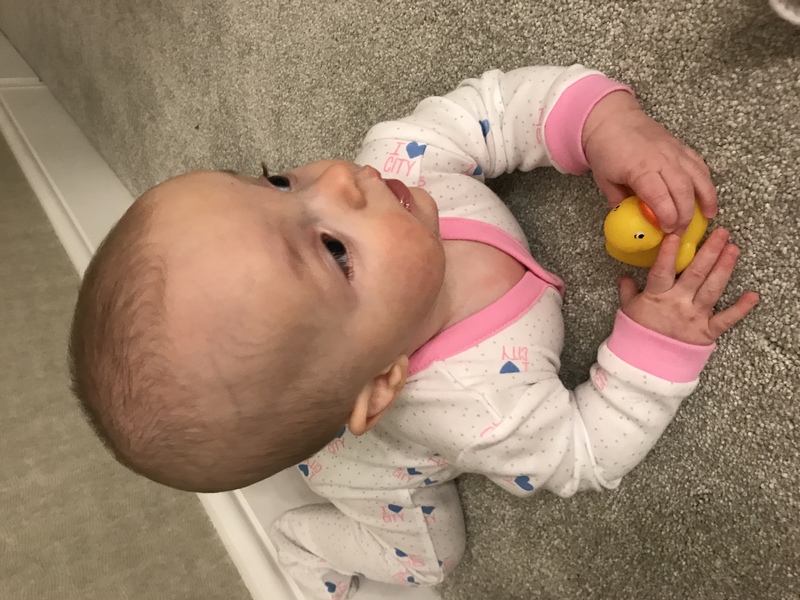 The rubber ducks work as great teething toys too. She even has to hold onto one whilst I get her ready into her pyjamas. Simple and cheap.